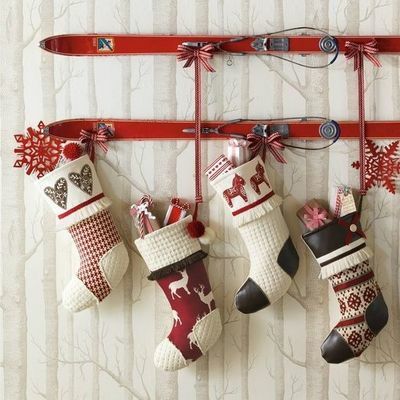 Trim the tree and hang the stockings. Simple enough. 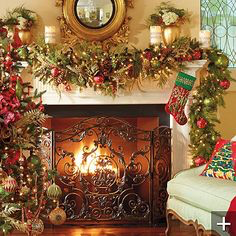 But what if the place you call home is missing the mantel? 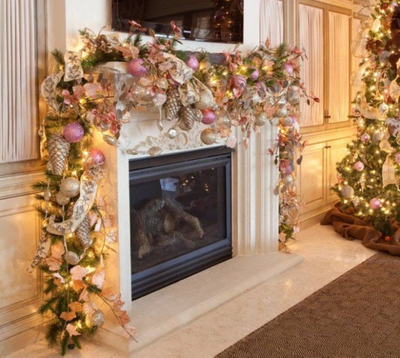 We have yet to see a design issue we can't conquer, and holiday decorating is no exception. 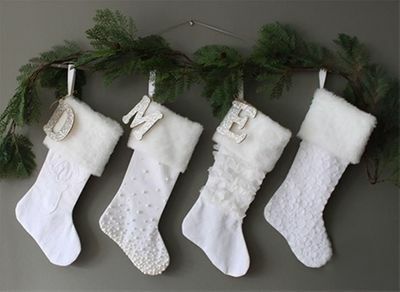 Lacking the traditional doesn't mean you lack tradition this holiday season. Apartments and modern layouts are not exempt from the festivities. 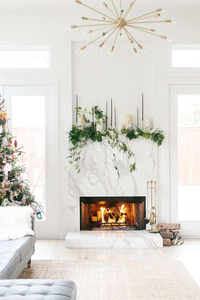 No mantel? No problem! With that, there is not mantle we aren't confident taking on either. 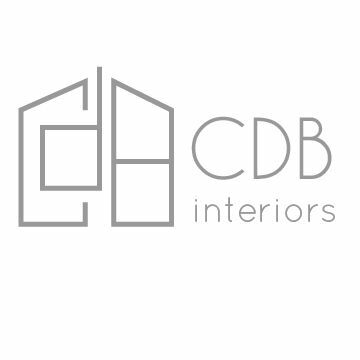 From the classic Christmas, to the edgy holiday host, CDB Interiors are here for you. 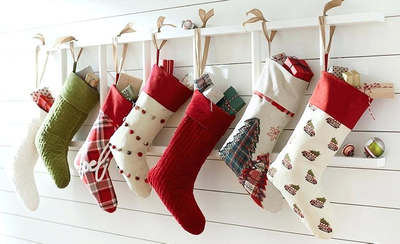 We love using the unexpected to give those carefully selected stockings a place to nestle. Stairwells are scrumptious for the vessels that hold the little things. 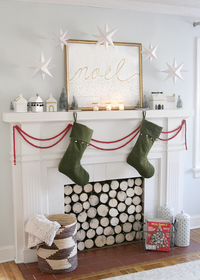 Candies and trinkets need a place for Santa to deliver them, after all. Of course, sometimes it's the smallest box hidden in the very deepest toe of the stocking that's the best gift of all. 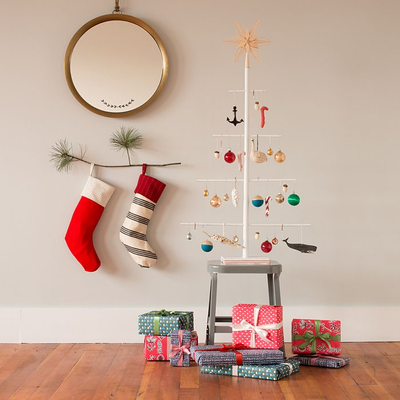 Using a floating shelf or hanging a one, like this darling branch, make a perfect place to hang stockings. 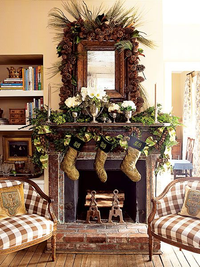 We love these gorgeous traditional mantel settings. 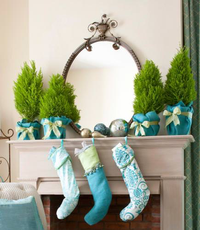 Choosing color scheme or a theme helps anchor your mantel in the room itself. 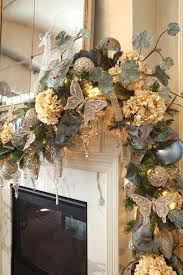 Choosing ornaments or colors that can go on the tree and the mantel keeps the place copasetic and even the busiest of decors look clean. Use 3M hooks and strips to keep your paint job from taking a hit. 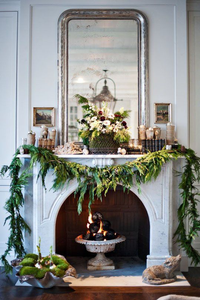 We love the looks that aren't necessarily traditional either, the urns with matching greenery is fabulous. 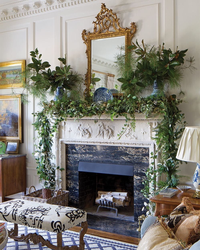 We also love the MIA garland look with the less-is-more look with the green stockings and red streamers or the blue planters in the look above. Whatever choices you make, it is your space to let come alive this holiday season!